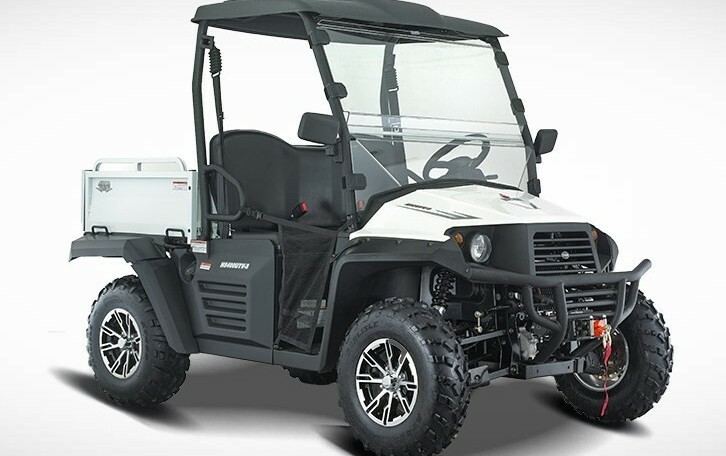 The utility side by side TORNADO 400 EFI, yours for only $8,495* fully loaded after a $1,500 rebate! Get the most out of your time with a limited investment with the 2016 TORNADO 400. This new side by side will simply make the toughest tasks so easy that you will plan even more next time. Whether you decide to clean your driveway carry sand and rocks or simply get to your favourite hunting spot, the TORNADO will be your best ally. Available in the following colors: White, Red and Vista Camo. Parcourez la vaste sélection de véhicules qui ont été ajouté récemment à notre inventaire.